At Salmassian Orthodontics we utilize only the highest quality and most advanced bracket systems.  3M Unitek, one of the leading manufacturers of orthodontic appliances, is our main supplier. 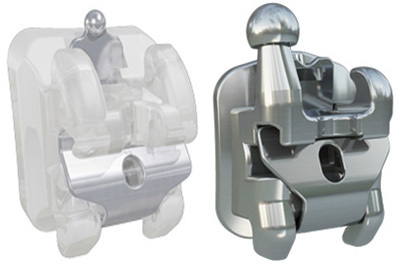 Their brackets have excellent bond strength,which leads to less breakage, as a well as a lower profile whichprovides outstandingesthetics and increased patient comfort. For themovie stars out there or those that are simply too shy about showing off their braces, Dr. Salmassian offers clear, metal free alternatives. One such example is clear braces. They offer the same functionality as standard braces but are clear, making them practically invisible! Dr. Salmassian is also a top Invisalign provider and can offer this “clear alternative” to you and your loved ones. One of the latest additions to the field of Orthodontics has been “self-ligating” braces. Also known as friction-free brackets, they allow for faster treatment while minimizing patient discomfort. Traditional braces use elastics and ties (colors around the braces).Although fun and cool, they can create friction during tooth movement which slows down treatment and often cause discomfort in patients. Unlike conventional braces, self-ligating braces do not require any ties or colors. A special “door” is used to hold the wires inside the braces. With this free-sliding technology, little to no pressure is placed on the teeth as they are gently guided into place. This produces a more natural tooth movement, reducing treatment time, discomfort, and lengthy appointments. Another advantage of self-ligating brackets is that the intervals between your appointments can be longer than with traditional braces. The doctor can see you typically every 6-8 weeks instead of the usual 4 weeks with conventional braces. Oral hygiene is also improved with these brackets since they do not have any elastic ties and do not discolor over time. Please ask Dr. Salmassian if you qualify for Self-Ligating brackets. He will perform a detailed examination and discuss all your treatment options. Creating beautiful smiles is a wonderful thing. Making it affordable, even better! At Salmassian Orthodontics we provide various financing options to help you cover the cost of orthodontic care. We take all major credit cards and are providers with most dental insurances. We also provide interest-free and zero down payment plans. Following your consultation with Dr. Salmassian, our financial coordinator will go over all the fees associated with treatment and discuss any insurance adjustments if applicable. She will then present all the various financing options so that you may chose the one that best fits your need. Our fees are all-inclusive. There are no hidden fees. Your cost will include all the x-rays, the braces, any appliances (if needed), retainers following treatment, and retainer check-ups for one year after the braces are removed. Salmassian Orthodontics has partnered with Care Credit and Springstone to offer patients a $0 down, 0% interest financing option for their orthodontic care. The application process is very simple and can be done at our office or at the convenience of your home. With this option you can start treatment immediately and require no down payment! This is a unique opportunity and a great way to finance your orthodontic treatment. Please ask our treatment coordinator for more information on how to start your application. We realize how even a little saving can help therefore, to save even more, we will offer you a courtesy 5% discount if you chose to pay in full with cash or check. Affordable orthodontic treatment…More reasons for you to smile! Dr. Salmassian strongly believes in being involved and giving back to the community. Salmassian Orthodontics is a proud member of the Santa Clarita Valley Chamber of Commerce. By supporting the Chamber, we directly contribute to the growth of the business community in the Santa Clarita Valley and help stimulate the economy of that region. Being an avid soccer player Dr. Salmassian sponsored the AC Milan Soccer Academy in Santa Clarita in 2009. The first of its kind in the western United States, AC Milan Soccer Academy is more than a soccer club. It is a complete soccer training program for youths from 4 to 19 years of age. 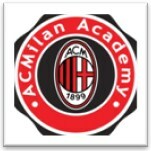 With direct affiliation from the parent, world renown, AC Milan Football club in Milan Italy, this academy provides an environment for the youth of Santa Clarita to learn about the beautiful sport of soccer and enhance their skills. Salmassian Orthodontics provides free annual orthodontic screening to all the children of that academy as well as educates the children and parents about the importance of proper oral care and the benefits of a healthy smile. Finally, Salmassian Orthodontics gave its first comprehensive orthodontic treatment as a charity auction to the Michael Hoefflin Foundation for Children’s Cancer in the summer of 2008. This foundation strives to find better treatments and cures through medical research and to promote awareness of childhood cancer in the Santa Clarita Valley and beyond.